I have a 05 ML500 which has recently began to have AC issues. About every 2 weeks the AC runs hot due to loss of freon. I did the quick fix with the UV dye to find the leak. After checking all the normal parts, the only place I see the leak is on the expansion valve. I have done other fixes to AC system in other cars, but wanted just to get a second set of eyes from anyone out there to tell me if the pictures attached look to be saying "expansion valve leak". Its almost summer here in Arizona, so wanted to make sure my project was correct before starting! I am not sure I understand. Full charge leaks out in two weeks? Another area to examine is inlet from high pressure hose to condenser and compressor front shaft. I don't think I can call it a full charge, but a treatment of the off the shelf AC Pro quick fix does take 2 to 3 weeks before the AC runs hot again. Another treatment will get me 2 to 3 weeks again. I did check over the rest of the system with the UV light. no other leaks show up. 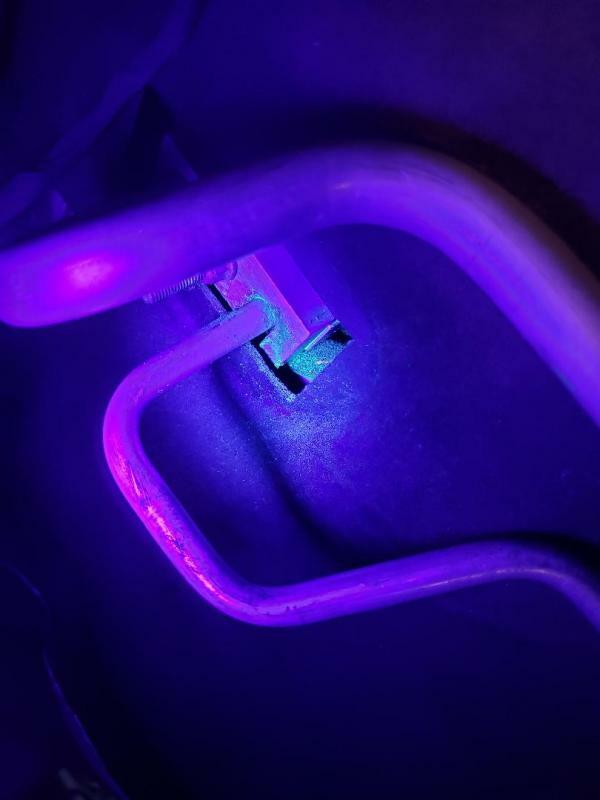 Compressor is clean and both lines for low and high pressure look clean under the UV light. Condenser was replaced about 2 years ago at the dealer , and it shows no leaks. even the schrader valves were showing no leaks. The pictures are the only place I see a leak with the UV. I think my main concern is that i am not sure what I would see if the evaporator had a leak. From what I have read that is a full removal of the dashboard and would go well beyond my time to work on the vehicle. I was hoping someone may have had to change their expansion valve and saw the same leak pattern as in the pictures. Remove cabin filter and you are looking right at the evaporator. Last edited by Witek_M; 04-15-2019 at 05:23 AM. Thank you for that suggestion! I will do that later on today! Jumped into the car again and took a look inside the interior air filter. 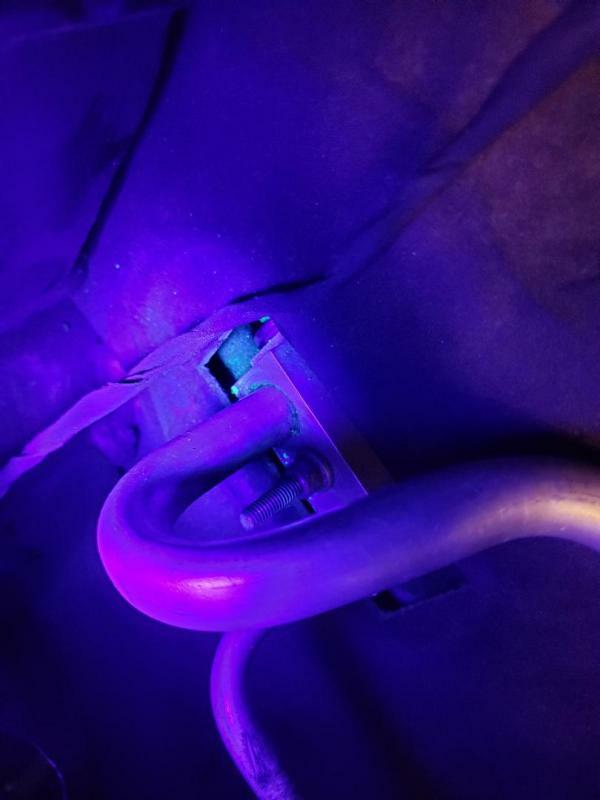 The evaporator looks good, but can see the UV dye again right around the high pressure line where it passes through the firewall (see pictures below). I am more comfortable now with the idea its the valve and will be replacing it this weekend! Thank you again Witek_M for the way to see the evaporator!